We offer a wide range of career opportunities, many of which involve working directly with our patients. There are also many other roles, all of which support our vision to provide the Best Care for Everyone. As the largest employer in Gloucestershire, we offer a huge range of opportunities and benefits in a genuinely supportive working environment. Whether you would like to work in a caring role, or your skills are in another specialism such as maintenance, finance, administration or even food production, we have a role for you at our hospitals. All our vacancies are advertised on the NHS Jobs website. On the website you will find details of our current opportunities along with job descriptions and person specifications for each job, plus details of the closing date. 1. Apply online via NHS Jobs - Tell us how you meet the requirements for this post particularly in the Supporting Information. Give us details of your referees preferably with their email address. Make sure you have asked them first. Some jobs are very popular so get your application as soon as possible. 2. Shortlisting - this is based on your qualifications, training, employment history and supporting information. No personal information is available to those who are shortlisting. 5. Confirmed offer - Once we have confirmed your offer of employment, we will send you various forms to be completed, including a form for a parking permit, an IT account and your bank details. Details of your induction will be sent to you. Take a look at our video that shows just why Gloucestershire is such a great county to work in. Watch the video produced by our enhanced care collaborative team to find out about our improvement journey. We have a 'bank' of temporary staff which works in the same way as a temporary employment agency. The bank offers additional and flexible working to existing employees and people who want to work on a temporary/casual basis. 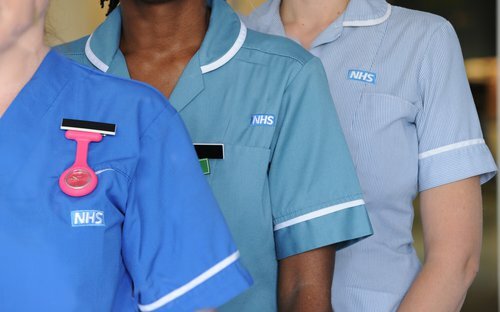 Bank employees include nurses and midwives, administrative and clerical roles such as ward clerks, secretaries and outpatient clerks, and ancillary staff, such as porters, cleaners and catering staff. Accommodation for staff can be provided through Sovereign Housing.